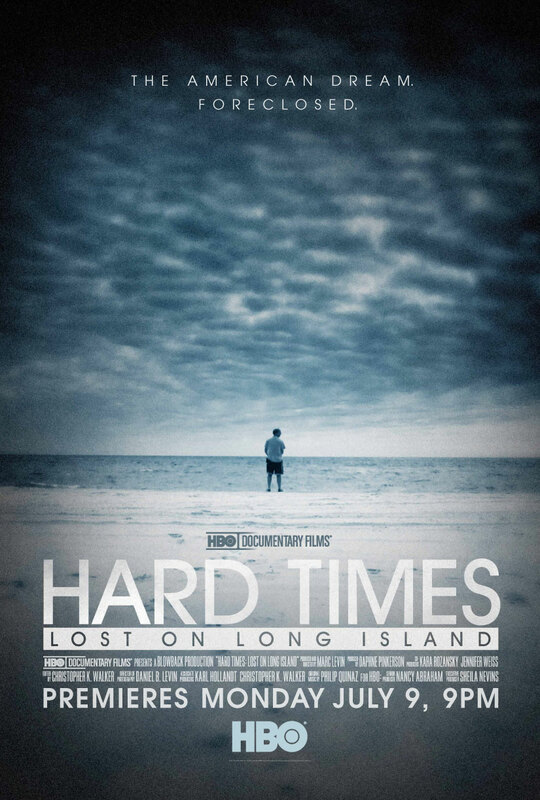 I just watched the HBO documentary Hard Times Lost on Long Island. This was a 1-hour documentary profiling a few unemployed individuals living on Long Island and I highly recommend everyone watch it. It should be required watching for anyone working in HR. I watch movies to escape. I want to watch movies so I don’t have to think about the real world, but I felt this topic was too close to home to skip and I am glad I watched it. It was well done and yes, it was a tear jerker. Too many people take unemployment for granted. “It won’t happen to me” or “Not in my neighborhood” are common misconceptions. This documentary will put perspective on the topic of unemployment and more importantly, this should get employees thinking about managing their own careers. Hopefully, it will introduce the idea that no one should count on any one person, manager, education, or company for their long-term financial well-being. I started this blog after learning about a few friends losing their homes and feeling like I could have done something about it. They didn’t lose their homes through any fault of their own. When I look at their situation, I believe they lost their homes because of the economy coupled with a system that doesn’t prepare candidates or employees for the reality of working in a professional environment. More importantly, most people don’t know what they don’t know when it comes to winning the game of Corporate America. I didn’t want to see any more of my friends lose. The perpetuated myth that companies will take care of their employees. Most companies do not have the bandwidth for manager training which leads a workforce that is naïve when it comes to individual career management. As someone who works in HR, although I have not seen everything behind the curtain of unemployment, I do feel I have seen my share of the unemployed and the emotional consequences that come with it. Per the movie, I will not say “I know how it feels to be unemployed long-term”. Even if we try, unless we have gone through it, no one can understand what it is like to become unemployed, stay unemployed for a length of time and then end up losing your home let alone trying to provide basic needs for your family. This HBO documentary gets us as close as we can be from the safety of our own jobs. It should be called Scared Straight in Corporate America. I watched this documentary through a different lens than most, but I hope this film will be a wake-up call to folks who believe that they are invincible or that their company will take care of them. Neither is the case. This program profiles a number of unemployed people including the perfect “yuppie” couple where both Mr. and Mrs. are highly educated with professional jobs, a 65-year-old mortgage broker that had to go back to work, a gentleman in finance making 100K a year. In every case, all of these unemployed workers were at one point “living their dream”. They also interviewed young people just getting out of college who had lost faith in education. Everyone featured “looked” like they would have no problem finding a job, in fact, they looked like they “should be employed”. Yes, they looked like you and me. Don’t think about being employed with any one company for 20 years, think about being employed for 2-4 years. Take control of your career. Do what it takes to build your resume. Don’t wait for your manager to tell you what to do or give you the opportunity. Embrace social media. Not just for when you want to look for a job in the future, but leveraged properly will help further your career with your current employer. Get out there and pound some flesh. Expand your skill set. Learn new skills at work, via classes or books. Keep learning so that your skill set does not pigeonhole you so much your skill set is not transferable to any other department or company. It used to be common advice to stash away 2 months salary in case of an emergency. Figure out how long it would take to find a new job in your particular discipline and industry and start preparing. Don’t be surprised if the stats in your industry push 7-9 -12 months depending on seniority. Start getting healthy. Start eating right and exercising. People who are fit, feel better about themselves and it shows when they are working and when they interview. You don’t have to be a muscle-bound Mr. America, but looking and feeling healthy goes a long way and helps provide that certain jen ne sai quou. Acquire a “networking/interview” outfit now when you can afford to do it right. Make sure you have enough of a current wardrobe to put your best foot forward through an interview loop. If you are unemployed and not able to afford a few outfits, you will be interviewing with an image you are not proud of and it will show. You don’t have to spend $1000’s or even $100’s. Make sure your look is current, your suit still fits perfectly and your shoes are polished. If you are HR, if you are an experienced person in your industry and have a strong network, you probably know people who are unemployed or underemployed. You don’t have to help everyone, but helping one person at a time will go a long way. Offering your network, your advice, your support goes a lot further than you can imagine. There is no greater reward then when someone who is unemployed says they landed a job and you were part of the process.